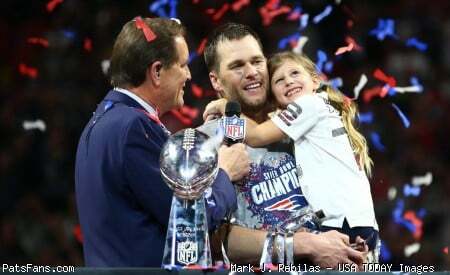 Discussion in 'PatsFans.com - Patriots Fan Forum' started by PatsFans.com Article, Apr 15, 2019 at 6:43 AM. The Patriots can trade up or down, So we’ll go with a commonly believed scenario that they try to trade up to get a playmaker that they sorely need. I've criticized trade-ups for Noah Fant elsewhere, and I'll do it here, too: I really don't know if Fant is good enough, on his own, to justify giving up the player they could get at 73. I could see him maybe being the pick at 32, but I'm not even sure of that, let alone trading up to 21 for him. And, please, for the love of God, can we please quit with the "hurr, durr, Belichick loves Rutgers players" thing? Belichick didn't have a love affair with Rutgers, per se, but rather with Greg Schiano's defenses. Since the last of Schiano's players have left, the Patriots haven't drafted anyone from Rutgers. Trading up is not a ridiculous idea if BB appreciate some players between picks 21-31. Personally I will do it for ChristianWilkins,Clellin Ferrell or Dexter Lawrence.Assuming deal with Seattle connected with 21st pick I am not so sure about Fant. Boy, if that Jeffrey Simmons dude can come back from that ACL injury....his tape is outrageous. With that being said, the assault incident, flashes of Dominique Easley & the likely scenario of Simmons already being selected gives a cold shower effect. Counterpoint: is Graham better than Fant? 32 to 21 is the exact trade they made in 2002, and I'd prefer Fant every time. Elite downfield and red zone threat, particularly as a move TE. Credible enough blocker to also see snaps inline. Sheffield is the sleeper CB with Schiano connections that would make sense, but Hampton is a solid developmental choice regardless of his Rutgers affiliation. I agree it's about the coaching and development, however, not the school itself. Overall, I liked this mock. It's not my favorite, but I think it would improve the team. That's always the goal. Lawrence may be a target though at 32. If we trade up we should do it for AJ brown. No WRs under contract as of now for 2020. Need to start somewhere and need a cornerstone. Not a fan of this one. Would rather trade down to get an earlier 2 and mid-round 3. Too much for Fant. I think the Pats trading up to Seattle is a match made in heaven. It's almost too obvious. Pats have the most picks in the draft (tied with the Giants w/12 picks), Seattle only has 4 picks total, and are looking to acquire more picks. IF Belichick wants Fant (or whoever his favorite prospect is), I really think he makes the trade. He's not going to take all 12 picks anyway, so might as well trade some picks to move around the draft board (or trade for veterans). The Pats have drafted 11 or 12 players multiple times before. Belichick rarely loses multiple picks during a draft. A FANTastic mock...great job Steve! Wouldn’t mind Fant at 32, but there’s no chance he’ll be there at that point, in which case I would be enamoured with Simmons or Lawrence. Take away TB12 the Pats were still the 2nd oldest team in the NFL last year. Not sure how many projected keepers they have from 2018 but I suspect they'll draft 9-12 players and not the 4-7 range. The notion of pairing Fant with ASJ isn't such a bad idea though. I think the Pats trading up to Seattle is a match made in heaven. It's almost too obvious. Pats have the most picks in the draft (tied with the Giants w/12 picks), Seattle only has 4 picks total, and are looking to acquire more picks. Belichick isn't going to trade up "just" to help out the Seahawks or "just" to "get his guy." The player represents good value at the pick where he's taken (e.g., he felt Chandler Jones was worth the #21 pick). The player is likely to be gone at the original pick (e.g., they expected him to be gone by #27). The player adds enough value to make up for the picks lost (e.g., Jones added as much (or more) value at #21 than he could have gotten from #27 and #93). I'm just saying, just like with Jones, Fant is probably worth doing that. He's a rare talent at TE as far as a pass catcher. AND he has WR type measurables in the 40 (4.5) and and vertical (39.5), had a 6.81 three cone. I think they said only one TE ran faster than Fant in the 40, in the last 10 years. I would rather have another prospect at 32 (or a bit later after a small trade-down to acquire a 5th-rounder) AND a TE such as Irv Smith, Knox or Sternberger at 73 (or 56 just to be safe) than Noah Fant Only. We have too many large holes that need filling with top-100 talent to surrender one of them for somebody who I don't believe is that much better than the other 3 to be worth the cost. And I really, Really dislike losing our 6th (#205) just to move up 10 whole spots for...Kaden Smith? No feckin thank you. That would leave us One Hundred and Fifteen spots between picks. That is completely unacceptable to me. I've seen alot of people say teams arent as high on Fant as the mock draft guys and that he could easily fall to the early 2nd round. I respect all the "draftnics" who have watched the tape on most of these guys and can pick apart all the details, personally cannot wrap my brain around most of the prospects and enjoy the banter before the draft, after it I can do without the sportstalk folks will have much to say about what an idiot BB is.. and maybe how the game has passed him by.